Sir Edward Evan Evans-Pritchard was a significant figure in British anthropology, whose work led to the development of social anthropology both in that country and worldwide. He was professor of social anthropology at the University of Oxford from 1946 to 1970, and is considered one of the founding "ancestors" of anthropological studies there. A sculpture of Evans-Pritchard in the Tylor Library commemorates his work . His view that anthropology should not be limited to scientific methods, but should use methods employed by historians, together with his focus on understanding the religious aspects of other cultures, are significant contributions to the relationship of anthropological research to knowledge as a whole. Born in Sussex, England, Evans-Prichard studied history at Exeter College in Oxford, where he became familiar with the work of R.R. Marett, a famous moral philosopher and historian of that time. 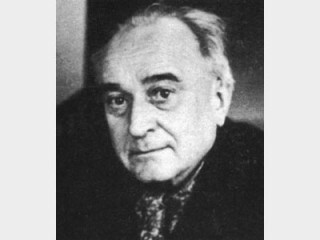 As a postgraduate student at the London School of Economics (LSE), Evans-Prichard came under the influence of Bronislaw Malinowski, and especially C.G. Seligman, the pioneering ethnographer of the Sudanese culture. His first fieldwork began in 1926 with the Azande people of the upper Nile, and resulted in both a doctorate (in 1927) and his classic work Witchcraft, Oracles and Magic Among the Azande (1937). Evans-Pritchard continued to lecture at the LSE and conduct research in Azande land until 1930, when he began a new research project among the Nuer people of southern Sudan. He was appointed to the University of Cairo in 1932, where he gave a series of lectures on primitive religion that bore Seligman's influence. It was during this time that he first met Meyer Fortes and Alfred Reginald Radcliffe-Brown. Evans-Pritchard developed Radcliffe-Brown's program of structural-functionalism in his studies of the Nuer. His resulting trilogy of works (The Nuer, Nuer Religion, and Kinship and Marriage Among the Nuer) and the volume he co-edited with Meyer Fortes, entitled African Political Systems, came to be seen as classics of British social anthropology. However, Evans-Pritchard's career suffered a setback due to a conflict with Malinowski. Malinowski disagreed with the ideas he published in his work Witchcraft, Oracles and Magic Amongst the Azande (1937), and Malinowski publicly dissociated himself from Evans-Pritchard. Being a highly respected scholar, Malinowski had great influence over the academic world, and prevented Evans-Pritchard from obtaining an academic post. It was only after Malinowski's death in 1942, and with the help of his good friend Radcliffe-Brown, that Evans-Pritchard was finally granted a professorship. During World War II, Evans-Pritchard served in Ethiopia, Libya, Sudan, and Syria. In Sudan, he raised irregular troops among the Anuak to harass the Italians and engaged in guerilla warfare. In 1942, he was posted to the British Military Administration of Cyrenaica in North Africa, and it was on the basis of his experience there that he produced The Sanusi of Cyrenaica. In documenting local resistance to Italian conquest, he was one of a few English-language authors to write about the tarika that some believe to be the predecessors of today's radical Islamist cults. Toward the end of the war, in 1944, he converted to Roman Catholicism. This was a very unusual step for a British scholar. It is probable that the mysticism of Catholic sacraments and rites, which appeared closer to Pritchard's own experiences of religion in other cultures, motivated this move. "In the last few years of his life [Evans-Pritchard] became interested in mysticism and, in a remarkable paper read to a student audience, argued in almost lyrical language that, in some important sense, mystics of all religious persuasions, Hindu, Buddhist, Muslim, and Jewish as well as Christian, experience the same transcendental reality" (Barnes, 1987). Evans-Pritchard's conversion to Catholicism was not well received in academic circles, especially due to the continuing influence of his conflict with Malinowski. In 1946, he became professor of social anthropology at Oxford, where he spent the rest of his life. He was knighted in 1971, and died in Oxford two years later. His early works, especially those regarding the little studied cultures of central Africa, the Azande and Nuer, made Evans-Pritchard famous among anthropologists. However, it was his later writings that made him famous outside the anthropologists' circles. Many of the principles he espoused were drawn from his experiences working in the field. In 1950, for example, he famously disavowed the commonly held view that anthropology was a natural science, arguing instead that it should be grouped amongst the humanities, especially history. He believed that viewing a culture in purely scientific terms dehumanizes it—describing other people involves more than measurement, it requires understanding their inner desires and reasoning as well as their external actions. He argued that the main issue facing anthropologists was one of translation—finding a way to translate one's own thoughts into the world of another culture and thus manage to come to understand it, and then to translate this understanding back so as to explain it to people of one's own culture. He claimed that anthropologists rarely succeeded in entering the minds of the people they studied, and so ascribed to them motivations which more closely matched those of their own culture, rather than those of the one they were studying. Thus, anthropologists' theories about other peoples and cultures risk being distorted by personal bias. In 1965, Evans-Pritchard published his seminal work Theories of Primitive Religion, where he argued against the existing theories of primitive religious practices that had dominated anthropological literature up to that time. He claimed that believers and non-believers approach the study of religion in vastly different ways. Non-believers, he noted, are quick to come up with biological, sociological, or psychological theories to explain religious experience as illusion, whereas believers are more likely to develop theories explaining religion as a method of conceptualizing and relating to reality. For believers, religion is a special dimension of reality. Evans-Pritchard concluded that the religious aspects of another culture are best understood by those who acknowledge the validity of religious experiences in their own culture. Sir Edward Evan Evans-Pritchard not only played a significant role in the development of social anthropology in Britain, but he also influenced twentieth-century views of religion and anthropology in general. As a professor at the University of Oxford, Pritchard's influence was considerable. Under his guidance, the school of social anthropology grew, attracting students from all around the world, and becoming the dominant influence in anthropology worldwide. As a member of the Colonial Social Science Research Council, he sponsored research and fieldwork in Africa as well as other continents. Evans-Pritchard caused a sway in the predominant belief that saw anthropology as a natural science (Radcliffe-Brown), toward treating it as part of the humanities. In this regard, anthropologists started to study cultures "from within," entering the minds of the people they studied, trying to understand the background of why people believe something or behave in a certain way. Subsequently, the way toward modern anthropology and ethnography was opened. He also pioneered the same approach to the study of religious beliefs and practices in other cultures, recognizing the validity of spirituality in its many forms. * Evans-Pritchard, E.E. 1974. Man and Woman among the Azande. Faber and Faber. View the full website biography of Edward Evans-Pritchard.